The growth of social media as a business tool has been steady over the past few years. This is partly because it’s difficult to ignore the growing body of evidence that shows exactly how beneficial social media engagement can be, and partly because enough time has passed for nervous Nellies to have learnt how to best use social media platforms by following good (and learning from bad) examples. LinkedIn recently published its findings from a study on social media use by small businesses called “Priming the Economic Engine: How Social Media is Driving Growth for Small and Medium Businesses (SMBs)”. Participants included 998 SMBs in the USA and Canada. A very impressive 81% of SMBs use social media, with 94% using it for marketing and about 50% using it for learning and gaining business insights. When it comes to marketing, the top reasons for using social media include maintaining a company presence and identity, generating word-of-mouth, delivering content and company info, advertising for awareness and advertising to generate new leads. Gaining new customers also features prominently, as 61% of SMBs feel that social media is ideal to drive customer acquisition. Other studies show that social media is great at driving actual sales. According to an ITWeb article by Admire Moyo, social media sites are playing an increasingly important role in online retail. Moyo references Adobe’s Q4 2013 Social Media Intelligence Report, which found (among other things) that Facebook, Twitter, Pinterest and Tumblr are particularly good at driving qualified traffic to retail sites. In fact, according to the report, Tumblr may be the social network to watch, at least as far as generating leads goes, because its revenue per visit (RPV) went up by a massive 340% year-over-year, with Pinterest’s RPV growing by 244%, Twitter’s by 131% and Facebook’s by 72%. Social media referrals are also increasing, particularly from Twitter and Pinterest. The trick to capitalise on all of this potential, according to Tamara Gaffney, Adobe Digital Index’s principal analyst, is a balanced social media marketing strategy that uses a combination of promoted/paid campaigns, organic campaigns and optimum use of images and video content. It’s important to remember that social media marketing goes beyond the big four: Facebook, Twitter, LinkedIn and Pinterest. New social networks are popping up all the time, some grow, some wither and die, some percolate and then take off like rockets and some simply trundle along, content with a small niche following. Where you’re active depends on where your audience is and on your goals. 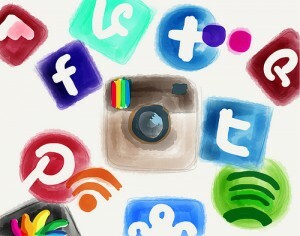 SDL’s SM2 team put together a handy infographic on the top nine social media sites for SMBs. The team looked at things like reach, time investment, quality of interaction and fun and determined which platform is best suited to a particular purpose. For example, Twitter is best to connect with customers and create loyal brand followers, Facebook is good for connecting and interacting with consumers, LinkedIn is best for business-based connections, Pinterest is good for telling a brand’s story visually, and YouTube is good for adding value to website content and other marketing campaigns through informational, educational and entertaining videos. Other social networks to consider include Google+ (which could become a serious contender in 2014), Instagram, Tumblr and Foursquare (although not everyone believes that Foursquare is dynamic enough to maintain user interest in 2014). 1) Be patient. Social media audiences aren’t won over in a day. It takes time to build trust and a loyal following. 2) Be trustworthy. This means that you don’t treat every status update, picture or post as an overt marketing opportunity. Post interesting, funny and valuable content that isn’t directly related to your company’s bottom line. Allow your followers to take the podium every once in a while and respond to them with understanding. 3) Be engaging. Facilitate conversations among followers. Respond to questions, suggestions, compliments and complaints. 4) Be consistent. While each platform is different and requires a different approach and even a different voice, you don’t want to be so different that people can’t tell who you really are. Be true to your company’s identity and values and present a united front to the public. 5) Be complete. There’s little worse than looking for details on a company profile and not finding them, so ensure that all of your profiles are as complete as possible. Include all of your contact details, some history, some information regarding your mission, values, goals and even some info on your corporate social responsibility. 6) Reward loyalty. Offer coupons, discounts and vouchers to loyal followers and consumers. Rewards don’t always have to be tangible, even just mentioning someone by name and giving them heartfelt thanks for whatever it is that they did can earn you goodwill points. Social media isn’t rocket science, but it’s not exactly as easy as tying your shoes either. Put in the effort and the time, however, and you’ll soon reap the rewards.